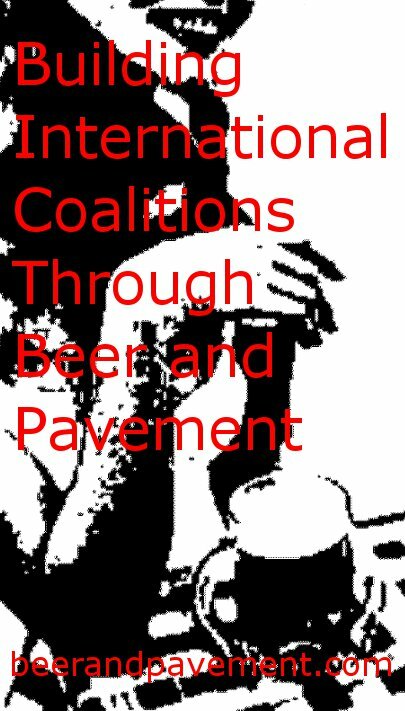 This month’s session is brought to you by The Homebrew Manual and focuses on the relationship with beer between brewers and drinkers. I consider myself both, but I know of many who are more one or the other. It does taint one’s appreciation of beer, but I don’t think one is necessarily better than the other. So, I threw myself into the craft beer movement. I bought every new release. I built a cellar that might not be the largest you’ve ever seen, it’s still solid in its variety and quality. I lost track of how many beers I had before Untappd (BU), but I have since achieved Legendary status (500 unique beers recorded) with a solid progression toward Extraordinary (1000 different beers). I steeped myself in the culture and blogging community so as to further my enjoyment of craft beer. Then – I don’t remember whose beer it was – it hit me. It is possible to brew beer at home that’s as good or even better than what the pros produce. It was like a second epiphany. So, I tried some homebrewing. At first, it was a kit that seemed pretty pedestrian, but I didn’t care. It was mine. From there, I completely changed the hop additions and developed an incredible single-hopped Simcoe IPA and the rest was history. Now, granted, I’ve never moved beyond extract brewing. Some would argue that I don’t really brew. However, I haven’t moved on to all-grain for two simple reasons. First, extract brewing requires less time and is generally simpler. I can steep some specialty grains before I boil for added complexity. Extract brewing is just so easy. Second, my beers have generally been considered “better than extract.” Few have been able to sense the extract and all have loved my beers. I’ve done some insanely hoppy IPA’s/DIPA’s, potent imperial stouts, a ridiculously popular saison, and there’s a boozy Belgian Quad bottle conditioning right now that is loaded with that raisin flavor/aroma brewers strive for. So, I’m a brewer and a drinker. I don’t think one understands beer better than the other. Brewers can break down a beer into its components, altering the enjoyment from aesthetic-based to one of utility. Each beer is judged like a puzzle, stirring inspiration for the next batch while developing metacognition along the way. Drinkers, however, are not lost in the details and enjoy beer in the moment. Where the brewer tries to experiment with technique and ingredients, the drinker collects and hoards his own variety. Both can be generous with knowledge and refreshment. Both know their stuff. But, most importantly, both appreciate and love beer. As is usual for this blog, I can find an applicable comparison to musicians and music fans. I am of the latter and not the former. I wish I could play music. I tried teaching myself guitar and bass at one point, but there just wasn’t time in my schedule. Despite my love of the DIY movement, I’ve never really felt that playing music was in the cards for me. However, I don’t appreciate music any less than musicians. I have several musician friends who – for whatever reason – like to read this blog, talk music with me, or come hear me spin. I’m more than a fan. I curate. 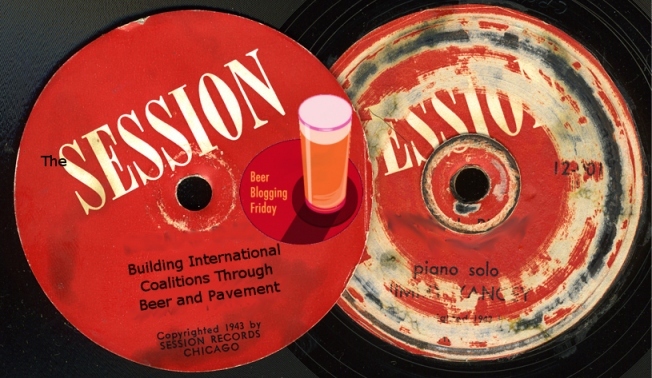 Does one need to brew (or play music) to properly appreciate beer (or music)? No. The appreciation is just different. I know a lot more about beer and appreciate a well-made pale ale or Pilsner because of what I know about brewing. However, there are some times when I want to suspend that knowledge and just enjoy the beer for what it is at that moment. Who cares what causes the head retention or that tartness. I just want to appreciate the beer for being a beer. I don’t ever want to be the brewer that analyzes every beer, sucking out the enjoyment. I don’t want to swayed by technique over the ephemeral. Conversely, I don’t want to drink a beer blindly, ignorant to the efforts that went into making it so great. It’s all about balance. We need balance in the beer community as well. Drinking beers with only brewers or drinkers makes for a dull, monotonous experience. Beer, as complex as it is, can become a rather boring thing if only seen tasted smelled experienced through one perspective. Beer needs a diversity of thought to be fully appreciated. So, there’s plenty of room for both brewers and drinkers. Also, those of us who float somewhere in between. Thanks for a nice, balanced post! It really would be a shame to become such an analytical brewer as to zap the life and enjoyment out of beer. That would defeat the purpose of starting brewing in the first place.